In the history of Professional wrestling, few men have had the global impact on the sport as the 'DynaImite Kid'. Born in Lancashire in 1958 young Tommy Billington was apparently destined to become a boxer until at the age of 13 when he met Ted Betley. In 1975 he left school and began to ply his trade in the ring as the Dynamite Kid, after merely a year he had become the British and European Champion. During this time he had a chance encounter with Bruce Hart of the legendary Hart family, it was this meeting that prompted Dynamite to head to Calgary Canada and a future in Stu Harts Stampede Wrestling. After many memorable matches in Stampede, Dynamite travelled to Japan where his career was really about to take off. His matches with Tiger Mask have since become the stuff of legends and set new standards for Professional wrestling. When arriving back in Canada in 1982 the Dynamite Kid got married and began the next chapter in his legendary career when he started teaming with his young cousin Davey Boy Smith another native of the UK. In 1984 Dynamite defeated both Davey Boy and the Cobra to become the NJPW Junior Heavyweight Champion. At this time Vince McMahon persuaded Dynamite and Davey Boy to join the then WWF as the British Bulldogs, they would go on to become one of the greatest teams in the Company's history. At Wrestlemania 2 ,the pair would become WWF Tag Team champions, however disaster was about to strike. Nine months after winning the titles Tommy sustained a kick to the spine from a high flying corner post drop.resulting in a broken back, requiring surgery. He lay on the apron throughout the bout in this condition, before anyone realised what had happened. ( There is an amateur video of the accident on our video page). A mere five weeks later, and several months early, the Dynamite kid struggled back into the ring in what can only be described as a superhuman effort to drop the straps to the Hart Foundation, on the order of McMahon. After months of rehabilitation and against the advice of doctors Dynamite returned to a full time schedule, this schedule took its toll on him and he made his final appearance for the WWF with Davey Boy at the second annual Survivor Series in 1988. After leaving the WWF Tommy went back to Japan briefly before retiring in 1990. However, Tommy was to make several sporadic appearances back in British rings in 1996 and a tour of Michinoku Pro Wrestling. During this tour the world would see the final match of the Dynamite Kid. Just a year later this legend of the ring would be confined to a wheelchair ,after giving so much to the sport of Professional Wrestling. Tommy spent many years living quietly alone in Wigan before being moved for specialist care. 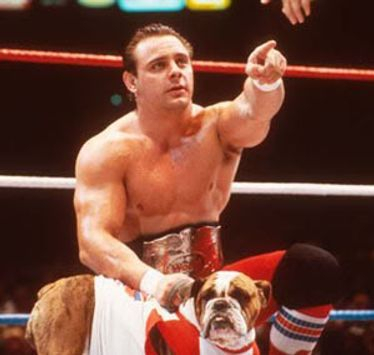 He will truly go down in history as one of the greatest wrestlers to ever enter a ring, and his style still lives on in the dozens of wrestlers who cite the Dynamite Kid as there main inspiration,which is easy to understand. A true innovative and inspirational wrestler. Tommy Billington passed away on Wednesday 5th December 2018 on what would have been his 60th birthday. Tributes poured in on hearing the news of his passing with many citing him as the greatest wrestler of his generation.